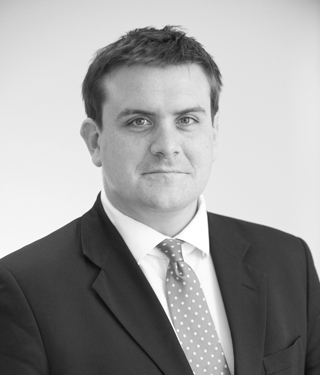 Robert prosecutes and defends in all areas of the criminal law. He is instructed in a broad range of cases including homicide, serious sexual offending and drug trafficking offences. In the last 12 months he has been instructed, as sole counsel, in: D (prosecuting death by dangerous driving); R and other (prosecuting false imprisonment and abuse of a child); N (defending in drugs conspiracy); and G (defending in drugs conspiracy run from prison). This year he has also been led in Operation Runway (revenge stabbing following the robbery of the runner of a ‘county line’ in Hereford); Operation Academy (international skimming conspiracy with the mastermind behind card reader software in the dock); and Operation Barstow (armed kidnap of a London drug dealer). He has appeared against leading counsel at trial on several occasions. He is a Grade 3 prosecutor. R v D (2018) – CCC – prosecuting tragic death by dangerous driving involving the death of a 12 year-old boy. R v H (2018) – Chelmsford CC – D stabbed two police officers; all experts agreed that she was ‘insane’ at the time of the offence and a special verdict was returned. R v C (2018) – Warwick CC – prosecuting D for disqualified driving causing serious injury; his passenger, a young female, suffered a serious brain injury. RTC experts on both sides. Op. Runway (2018) – Worcester CC – led junior in two-handed revenge stabbing following the robbery of a drug dealer in Hereford. Op. Academy 2 (2018) – Blackfriars CC – led junior in card-skimming conspiracy. One of the defendants was the man who had designed the skimming devices which had been sent all over the world. Op. Barstow (2017) – CCC – led junior in a 4-handed kidnap of London drug dealer. R v M (2016) – CCC – prosecuting D for importing just over 1kg of cocaine hidden in a shipment of instant porridge. R v C (2016) – Peterborough CC – LGV driver prosecuted for dangerous driving causing serious and life-changing injury, experts on both sides. R v K (2016) – Reading CC – prosecuting D on an indictment which joined 4 separate sets of allegations including two s18’s, complainant in one was left permanently disabled; consideration of Vowles and others. R v D (2016) – Blackfriars CC – prosecuting D for taking indecent images of children in Colombia. R v S (2016) – Winchester CC, Dove J. – prosecuting D2 (junior alone) for hiding the murder weapon after D1 had pleaded guilty to murder. R v K (2018) – Snaresbrook CC – represented an estate agent charged with fraudulent trading. R v D (2018) – Blackfriars CC – defending in conspiracy to rob using hammers and stolen mopeds. R v G (2018) – Oxford CC – defending in ‘punishment stabbing’ which took place in prison; D had a previous conviction for s.18 (slashing with a knife). R v N (2017) – Woolwich CC – defending in nationwide drugs conspiracy. R v F (2017) – Southampton CC – representing man with learning difficulties on several indictments alleging sexual misconduct. R v C (2017) – Winchester CC – defending dangerous driving causing serious injury to a child. R v K (2017) – Lewes CC – defending in historic sexual offences case; allegations from when D was just 11. R v R (2016) – Portsmouth CC – D had several disguised stun guns in his possession; psychiatrists on both sides instructed to examine the effect of a considerable brain injury. R v R (2016) – Southampton CC – defending in knife point robbery; complainant stabbed and slashed; defence of claim of right. R v P (2016) – Portsmouth CC – defending in large conspiracy to supply cocaine.